The Nikon D800 digital still & video SLR camera represents the pinnacle (as of this writing) of Nikon's camera design and engineering achievments. With 36 megapixels arrayed over a full frame (35mm) sensor, it's the highest resolution digital camera of its kind and format. Early comments from professionals using it in the field during prototype testing throughout early 2012, and the professionally peerless results from literally hundreds of sports photographers using it at the 2012 Olympic Games in London, England, leave little to doubt that the camera is both a still photography and high-definition video marvel. The Nikon D800 is referred to commonly as a full size camera body, about the same size as its professional Canon counterpart, the 5D MK III. The only larger type of 35mm body in the Nikon lineup is the Nikon D3 or D4 featuring the same sort of integrated vertical grip assembly as the competing Canon model 1D MK IV or 1D X. It's a handful in any case, and designed for use all day, every day, in a wide variety of indoor, studio, outdoor, dusty, dry, wet, humid, hot, cold, awful, lovely or any other conditions you can think of. It was anticipated that this model in the Nikon line would be the natural successor to the remarkable Nikon D700 or 2008, but the D800 seems in fact to be much more than an incremental step forward in the line. I say we're still waiting for a D700 successor. The viewfinder and prism bulge which readily identify an SLR camera, sits on top in the usual spot. The eyepoint (relief distance) of the viewfinder is high enough for most users (which means you don't have to jam your eye against the rubber eyecup to get a full view of the frame), so that both unaided eyes and eyeglass wearers will be equally comfortable using the camera to great effect. A flash hotshoe is perched in the usual spot above the prism bulge and the popup flash. Also as usual, the Nikon Creative Lighting System (CLS flash system) can be triggered by the popup flash as well as by a Nikon Speedlight mounted in the hotshoe. The back of the camera sports an 8cm (3.2") 921K, high resolution LCD with an exceedingly tough outer glass layer and anti-reflective coating. The right side of the camera body forms a handgrip-sized bulge, and most of the outer body is covered in a very grippy synthetic rubber layer. The top LCD shows all current exposure settings, battery charge level, estimated remaining shots (based on the storage card capacity), focus mode, shutter mode, shooting mode and exposure compensation setting. The Nikon D800 accepts all Nikon/Nikkor AI-S, AF, AF-D, AF-S, DX and FX lenses made over the last 30 years, as well as a huge range of third-party lenses made in Nikon F-mount by Tamron, Tokina, Sigma and others. The battery compartment is located behind a click release door mounted flush on the bottom right of the body. The memory card door is located on the outer part of the hand grip on the right end. The tripod screw mount is in the usual location on the bottom plate, and is centered on the lens axis beneath the sensor plane. The D800 features an automatic step down to DX (Nikon's designation for its APS-C/1.5X sensor crop whenever a DX lens is mounted. There's no vignetting or unusual cropping - the DX lens works just as it does on a crop sensor camera body. It might seem pointless to use a DX lens of any kind on a full frame body, but the DX/crop mode still gives you a 15mp image which is more than enough size and resolution for most photographers. So if you've got a DX lens that really does it all for you, it's possible to keep using the thing with tremendous success on the D800. But that means you're really not planning to go full frame, so why are you spending big money on a D800 when your favorite DX lens will do just as well or better on the superbly high resolution Nikon D7000 DX camera for about one-third the cost? Never mind. Nikon Aquisition Syndrome (NAS), CAS, FAS and SAS are hard to resist. If you do what most new camera owners do, you'll unpack the camera, load the partially charged battery, insert an SD card and a CF card (there are two slots in the D800 which you can configure to overflow, duplicate or back up), attach a lens and start taking all sorts of lousy photos of leaves in the backyard, rust on your balcony railing, your socks, dirty dishes in the sink, a dim table lamp in your bedroom (got to check out the high ISO noise of course), and all sorts of other nonsense. Stop that. Don't do it. If you're already a Nikon user coming from a very forgiving D200, D300, D80, D90, D7000, or even a D700 or D3, you'll look at the photos and immediately shout, "This thing is a dud! Everything is blurry!!" It may take some time, but eventually a light bulb will go on in your head and illuminate the words "Dumb User Error!" Here's the explanation for the blurriness. Basically, you're putting a 36 megapixel (mp) sensor, handheld, on relatively dimly lit subjects, shooting (as you'll notice when you finally look carefully in the viewfinder) at 1/30 second and an inappropriately small aperture. It's a recipe for mis-focus, blurry photos and confusion. You might have occasionally gotten away with it using an older 6, 8, 10 or 12mp camera body, but these new, uber-high resolution sensors are unforgiving until you reassert some sane photography theory and shooting technique. With 36mp on tap, the slightest movement will cause noticeable blur. The solution? Shoot handheld at sane shutter speeds, let the ISO float automatically up to 1600, 3200 or 6400 to accommodate the best shutter speeds. Use a good quality lens with a fast maximum aperture in order to give the camera a chance to gather sufficient light to get a solid focus for that glorious sensor (although you'll find that the new autofocus system, rated at -2.0 eV - which is very dim - can lock focus in lighting bad enough to give most other cameras absolute fits). In other words, consider using the D800 as the superb still and video camera that it is, not as some sort of magic machine capable of overcoming the laws of physics. Then you'll be very happy indeed. Shutter speeds equivalent to at least two and a half times your focal length - e.g., if your lens focal length or zoom setting is 60mm, your minimum shutter speed should be at least 1/160s - are advised and the faster, the better. Shooting handheld with lens vibration reduction turned on (what Nikon refers to as VR) is all well and good at 1/15s in pitch dark at f/2.8 using an older DX/APS-C (crop sensor) 12mp camera body. Try it with a 36mp body like the D800 and you'd better be shooting from a very heavy, rock solid tripod, mirror locked up, no wind and no subject movement of even the slightest amount, and with an absolutely guaranteed focus lock. Anything else and you'll be disappointed. The point of all this is that the D800 is meant to be shot handheld only at sensible shutter speeds. I've heard lots and lots of complaints about the D800, all of them from photographers who think that because they shelled out big money for the camera it should literally do everything conceivable. Problem is, that's a logical fallacy - call it the fallacy of composition (assuming that something true of part of a whole must also be true of the whole) - because those photographers assume that because a D800 (or Nikon D4, Canon 1D X, Canon 5D MK III, etc.) is obviously superior and leader of the class in some ways, it must be superior in all other ways too. Drop that thought right now. There is no camera currently in existence, at any price, which does all things better than all of its competitors. The D800 is not a lightweight (although it seems to be 65-70 grams lighter than its predeccesor D700 due to a slightly smaller battery form factor, and a different internal body frame design), so all day carry on one shoulder demands a good strap. The stock Nikon strap is actually a neck strap, but I think most people carrying the camera that way will be sorry because it's just too heavy. 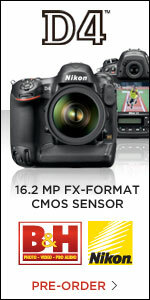 So is the Nikon D700, Canon 5D, Mk II and MK III. Buy a good shoulder strap such as the UpStrap, or a good sling strap such as the BlackRapid, or a strap that can be worn bandolier-style and shoulder style such as the OP/Tech or Tamrac straps. Whatever you choose, make sure that the strap and your camera bag (shoulder, sling, backpack, waist system or holster) suit your needs. I'm primarily a street shooter, so I favor the UpStrap and shoulder bags such as the Billingham f/Stop 1.4 and 2.8 models. The reality is that anybody who is concentrating on photography can sling a bag and carry on the opposite shoulder all day a D800 with lens attached. Overload your bag with lenses you don't use, a laptop or tablet for no sane reason, and other extra junk you never use or need, and it won't be the D800 weighing you down and ruining your mood because of fatigue, but rather all the pointless stuff you're hauling for no reason at all. Smarten up.